In the County of Kalmar five Natura 2000 sites on the island of Öland are included in the project. These are the three sites with xeric calcareous grasslands; Gårdby sandhed, Skedeås and Åby sandy slopes, and two areas in Böda kronopark up in the northern part of the island. 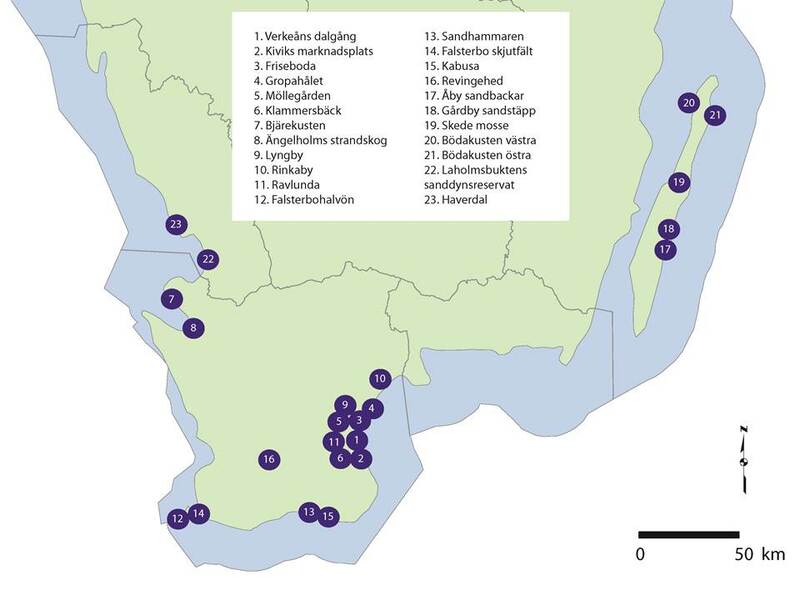 On the map below, the sites included in the project can be seen, and the numbers from 17 to 21 are located in the County of Öland.